Bryan from Linn, Missouri sent in this lovely gable bracket project. This is the Ekena Millwork Davenport gable bracket in a Douglas fir wood species. 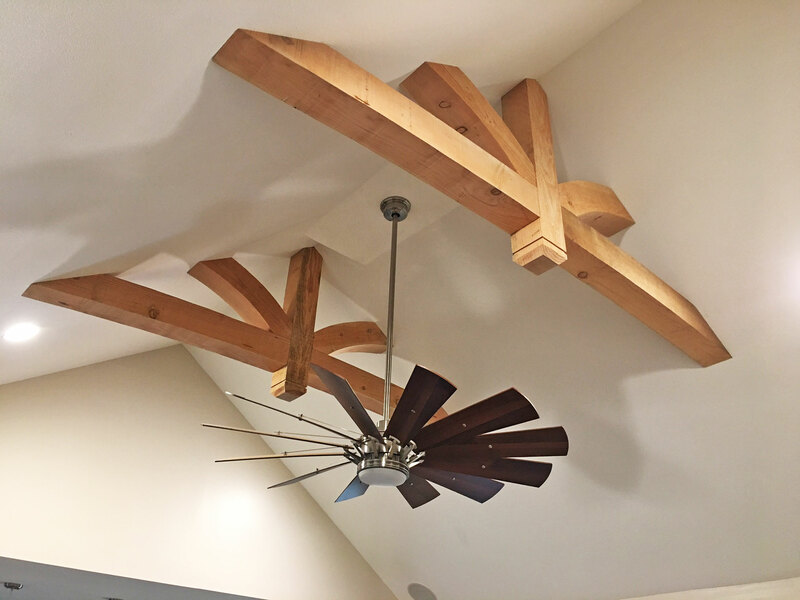 He ordered two brackets and placed them in the high ceilings of his home. Our Rustic Collection is an instant classic. Our Rustic wood millwork utilizes the technologies of today to build the ‘log and timber’ wood products that have been in architecture for centuries. Because our products are not kiln dried, each item in our Rustic Collection is 100% unique and will contain the natural variations that the wood species offers. Your wood bracket, corbel, rafter tail, will contain unique colors, grains, textures, knots, sapwood & heartwood content and possible sap bleeding, and even natural checking, splitting & cracks. These natural variations are what make the Rustic Collection stand out from the rest. For more products in our Rustic collection, click the link below.